I know I've been harping on for ages about ditching the make up wipes and I will keep doing so until everyone does it! Ah I don't mind if you're exhausted and removing your make up is the last thing on your mind, so I'll let you away with using wipes once in a while. Just trust me when I say that cleansing your skin properly is one of the best and nicest things you can do for yourself. I speak from experience! I'm really lucky in that I've been able to try some great cleansers over the past couple of years and I wanted to share these new ones with you. Some I've been using for a while and some are new to me. 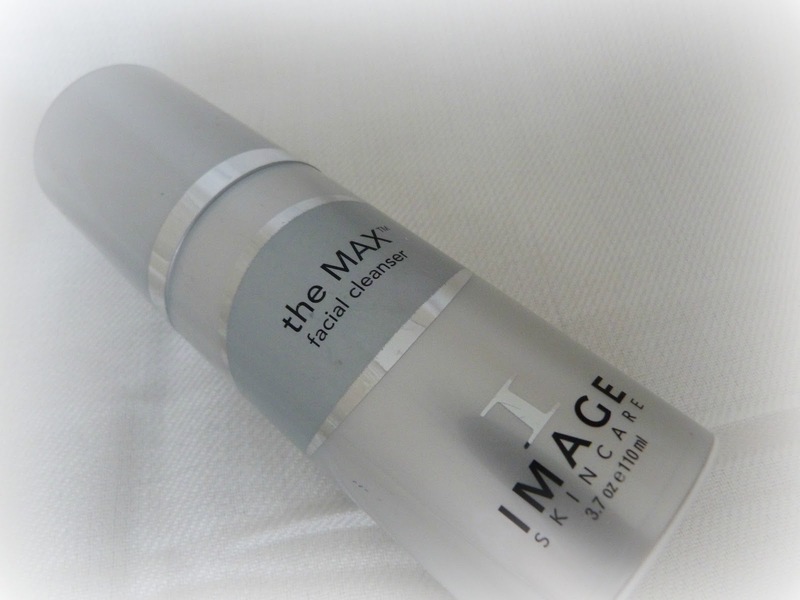 The Max Facial Cleanser from Image Skincare (€29.50). Described as a daily, acid-free, sulfate-free and paraben-free gentle cleanser to balance and optimize skin's PH. Plant-derived stem cells as well as plant extracts nourish the skin and protect from environmental pollutants. It's aimed towards the older ladies and yes, I'm getting there and will use anything that will help me perpetually stay 27. By optimizing the PH of the skin, it extends cell life and helps slow the ageing process. It's pearly and thick and feels gorgeous on the skin. I like to apply a good dollop, then massage it in, rinse off and I'm left fresh faced and ready for the day at hand. 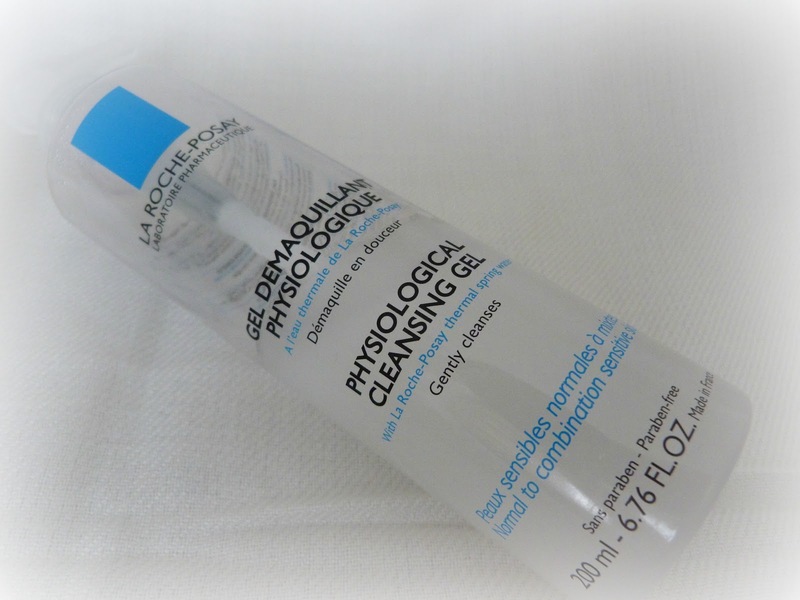 La Roche Posay Physiological Cleansing Gel (€15.25). I can never ever say the name of this right and so I've just resigned myself to calling it what I always do, the Psychological Cleansing Gel. It psychologically helps me remove all my make up and feels lovely and light on the skin. I apply it with my fingers and take it off using cotton pads or a muslin cloth. I love this stuff and you can see from the bottle that I'm going through it fast. It's great stuff and has a light scent, making it a joy to use and I've no doubt I'll be purchasing this myself when I run out. 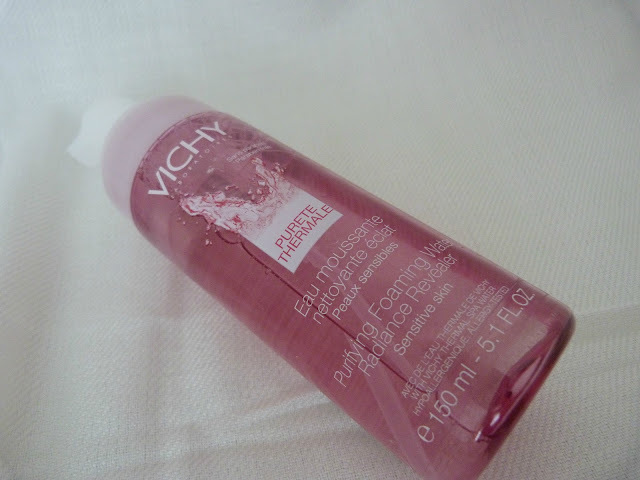 Vichy Purete Thermale Purifying Foaming Water (€14.75). First of all, I love the packaging. It's cute and pink and brightens up my bathroom. That being said, how does it do as a cleanser? Well, it looks like a water but when you dispense it into your hands, you're left with a luxuriously thick foam that leaves your skin squeaky clean without drying it out. I even use it to remove my make up but not my eyes, just in case. I either rinse it off or use my muslin cloth to work it into my skin before removing it. For some reason, I like to use foaming cleansers like this one first thing in the morning. I like to think the bubbles wake me up! Liz Earle Cleanse & Polish Hot Cloth Cleanser - Rose and Lavender (€23.50). This is the newest addition to my cleanser family and it's a goodie! It's a limited edition Cleanse & Polish where €2.50 of each sale goes towards helping The Prince's Trust. Working the same as the original Cleanse & Polish but scented with rose and lavender essential oils, I've used this every evening since it was sent to me. The relaxing scent of lavender is the perfect way to end my busy days and the fact that it's bigger than the original Cleanse & Polish makes me happy because that has lasted me ages so far! Image Skincare The Max Cleanser - For more information and stockists click here. La Roche Posay Psysiological Gel Cleanser - pharmacies nationwide. What cleanser are you using right now? I really want to try the Liz Earle one, maybe when I get back from my holliers I'll treat myself to it! My skin needs a bit of pampering at the moment! I've been using a cleansing gel from Avene that works exactly in the same manner as that LRP... 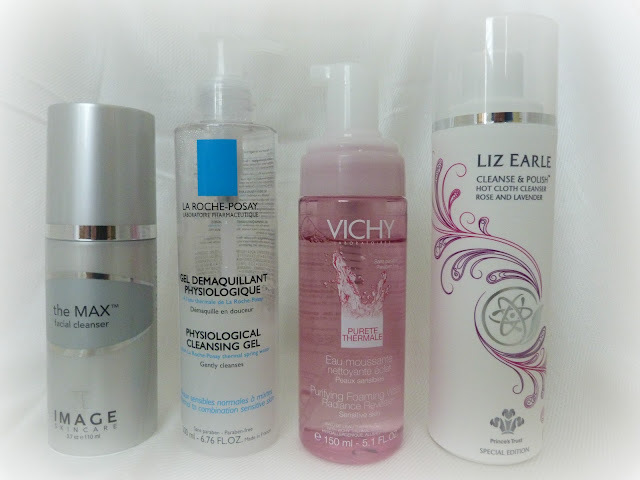 I like it but since my skin is a bit oily I prefer foaming products: I might give that Vichy water a try. Speaking of Vichy, their biphasic eye make-up remover for sensitive eyes is the best I've ever used. It takes everything off, is super gentle, and it doubles as a great remover for strong-colored lipsticks... leaves your lips baby soft and no funny taste at all! These are the best and very cheapest products in price. And I also bought Vichy Purifying Foaming Water Radiance Revealer yesterday. Good choice on the Image Skincare product. I don't use that one you're presenting but I do use their daily defense moisturizers. If anyone is interested in learning more about skincare or the Image Skincare line of products. Tomorrow at 12:00pm Eastern time Dr. Ronert, Image Skincare’s president and medical director will be answering questions live from a free Facebook event page that is open to the public. All you have to do is join the event and ask whatever skin care related questions you have. Last Ask a Surgeon Live Event he managed to answer everyone’s questions before the event ended. This event is the perfect opportunity for bloggers and skincare professionals to make connections and learn more about the industry. With, cleansed with this and followed with liquid gold my skin was on fire! Bright red and angry. Not sure about it now, I'm very cautious :/ did u find any reactions?